How can i add more than one email recipient? Once someone fills out the form is there a way for the submission to go to 2 email addresses? Yes. It is possible to send an email alert to more than one person. You can separate the email addresses by commas in the recipient email section. However, there is a limit of having 10 email addresses. 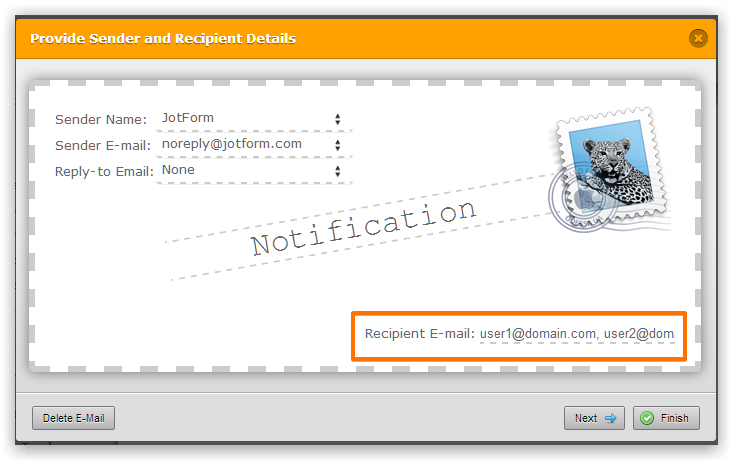 You may need to have a similar notification to add more email address if required. Please refer to our guide below on sending notification to multiple recipients which is provided with step-by-step instructions and graphical illustrations.